Here at NAU, we have a passion for discovery and a penchant for knowledge. 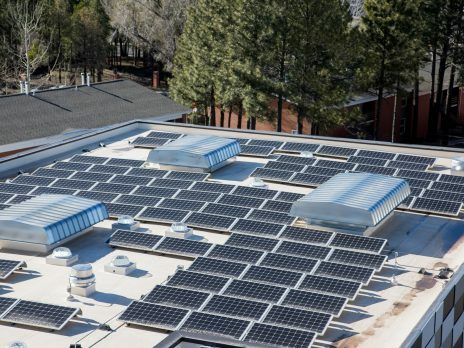 With our talented research faculty, 12 research centers and institutes, and the Office of the Vice President for Research leading the way, NAU’s Research Enterprise represents a broad range of people, facilities, and organizations committed to academic research excellence at the university. Fun Fact: Regents’ Professor of Biology Paul Keim and his team at NAU’s Pathogen and Microbiome Institute are world-famous for their genetic and genomic research of diseases, including anthrax, cholera, and the plague. To get involved, visit the Office of the Vice President for Research’s website. Fraternity and Sorority Life (FSL) has the mission to develop values-centered students who foster a safe environment through interactive programs with a commitment to scholarship, service, leadership, and friendship. 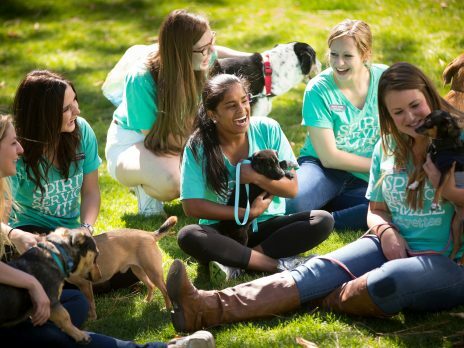 NAU offers many types of social, volunteer, and cultural fraternities and sororities. FSL provides extensive training and leadership opportunities to collegiate members, hosts activities and provides a space for students to interact in a safe environment. Interested in joining or learning more? 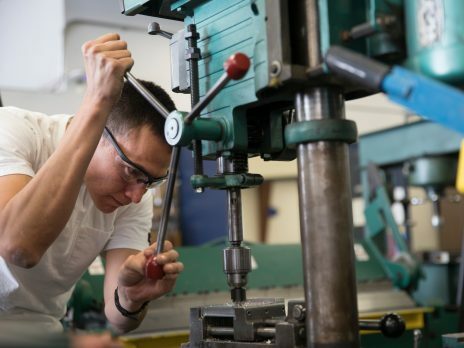 Boundaryless is NAU’s way to encourage innovation and entrepreneurship with the student body. 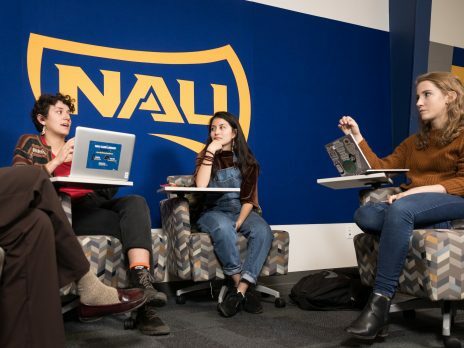 The mission is to prepare Northern Arizona University students for jobs of the future with critical thinking and problem solving skills through inspiration, education, and connection. Inspiring through discovering and exploring emerging opportunities. Educating through building skills in innovative thinking, leadership, problem solving, communication, quantitative reasoning, and ethical citizenship. Connecting by developing relationships between ideas, people, and resources to solve wicked problems. 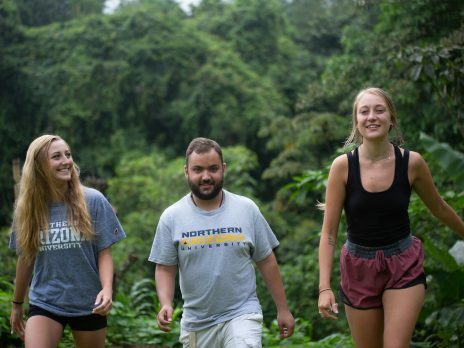 NAU places an emphasis on developing the leadership skills of our student body. To accomplish this, we offer many opportunities to get involved and learn or practice leadership skills. Each year, Northern Arizona University and The Suder Foundation invite first-generation students to participate in the Lumberjack Leadership Institute. This conference is FREE for all NAU students, and free breakfast and lunch will be provided. 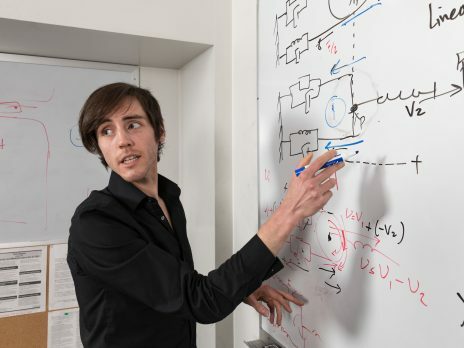 Undergraduate students at all class levels are encouraged to apply. The Student Leadership Conference is an annual leadership conference put on by the Office of Student Life, and open to all NAU students. The conference is an exciting, jam-packed day of breakout sessions with an inspiring keynote speaker, designed to provide students with new and innovative leadership development information. This incredible opportunity gives students the opportunity to further themselves as a leader both on- and off-campus. 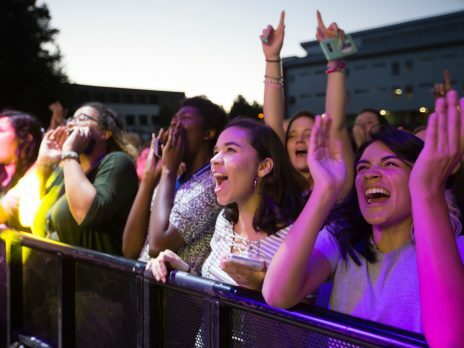 The Northern Arizona University Student Activities Council (STAC) provides financial support for events that enhance and enrich students’ lives on the Mountain Campus. Any department or registered student organization can seek funding through STAC. Get more information and learn how to apply to be a member of the Council online. KJACK Radio is a student run college radio station, dedicated to offering NAU students and staff hands on experience in the professional radio broadcast field. The station broadcasts a variety of music in a free-form format, and covers campus and high school sports. Tune in to 107.1 on your dial or listen online! The Lumberjack Student Newspaper has been a Flagstaff staple since its founding as The Pine in 1914. In 1946, students voted to change the name to The Lumberjack, and the newspaper has gradually evolved into its current form as a weekly publication. The Lumberjack’s goal is to bring the news that is important to you through an expanding variety of different media, including broadcast, web and print. Grab a copy in any building around campus! Gain experience, meet new people, and get involved on campus by joining one of our over 375 student clubs & organizations. Interested in Model United Nations? A passionate Unicycler? Or a Disney fanatic? We have a club for you! 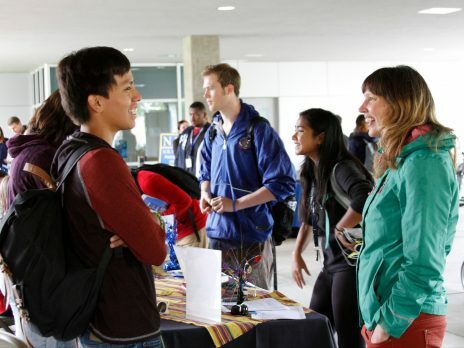 Check out True Blue Connects for information about all of our student clubs & organizations and campus events and resources for students. Not finding your jam? You can easily start your own student club or organization! Pro Tip: Get college started right. Visit the Student Involvement Fair during Welcome Week, try out different organizations, and decide which ones are for you! The more involved you become, the better your college experience will be! Study abroad is a great opportunity through the Center for International Education, that provides the opportunity to see the world and discover different cultures. You’ll remember this adventure for the rest of your life. Going abroad is affordable and it can cost the same as staying at NAU, you can use financial aid, and we have a ton of scholarships! Studying abroad can provide a richer understanding of your major and classes taken abroad can count towards your graduation requirements! Hear about other students’ testimonials and get more information on the Education Abroad website. SUN Entertainment is Northern Arizona University’s entertainment promotion and production company. Since 1982, SUN Entertainment has been committed to providing social, recreational, and cultural activities to the Northern Arizona University community. In addition to presenting major concerts and comedians, SUN Entertainment provides various student programs including Prochnow Movies, Noon Time Activities, Special Events, and the popular Friday night AfterHours program. Job Tip: The student employees of SUN Entertainment are responsible for all phases of operations including booking, advertising, promoting, staffing, and managing all events!